When you are compassionate, even to the least important entity in your Life, you are happy. “On this particular afternoon a fly fell into my tea. This was, of course, a minor occurrence. After a year in India I considered myself to be unperturbed by insects – by ants in the sugar bin, spiders in the cupboard, and even scorpions in my shoes in the morning. Still, as I lifted my cup, I must have registered, by my facial expression, or a small grunt, the presence of the fly. ““Oh, nothing,” I said. “It’s nothing – just a fly in my tea.” I laughed lightly to convey my acceptance and composure. I did not want him to suppose that mere insects were a problem for me; after all, I was a seaseoned India-wallah, relatively free of Western phobias and attachments to modern sanitation. ““It’s no problem,” I reiterated, smiling at him reassuringly. But he continued to focus great concern on my cup. Rising from his chair, he leaned over and inserted his finger into my tea. With great care he lifted out the offending fly — and then exited from the room. 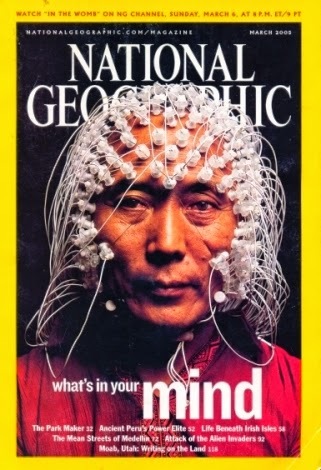 Some years ago, Rinpoche was featured on the cover of National Geographic. The article, “What’s in Your Mind?” describes how a researcher measured how positive and negative thoughts stimulated the brain. Choegyal’s brain activity was further to the left prefrontal cortex than anyone the researcher had previously measured. This is where positive emotions sit, leading the researcher to describe him as “the happiest man in the world”. Almost all of us are compassionate. We love to help people and care for them. That’s our innate nature. But, over the years, through social conditioning and individual experiences, in an increasingly materialistic world, none of our self-lessness surfaces without a “What’s in it for me?” reasoning. Besides, we are so obsessed with our own lives that we have no time for others. So, expression of compassion, if any, is limited to our own immediate families. We want to care, but we don’t believe we can and if we do believe we can, we feign lack of time! This is the reason why we lead such unhappy lives. We have everything material, but we are still wanting something that’s missing in our lives. And that something is happiness.